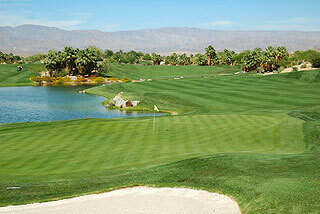 Desert Willow Golf Resort offers 36 holes of championship desert golf on layouts designed by Mike Hurdzan, Dana Fry and PGA Tour professional John Cook. The Firecliff and Mountain View courses have been rated 4 out of 5 stars by Golf Digest Places to Play, with each providing five sets of tees that make for challenging test for experienced players, while also providing a fun and rewarding round for amateurs. 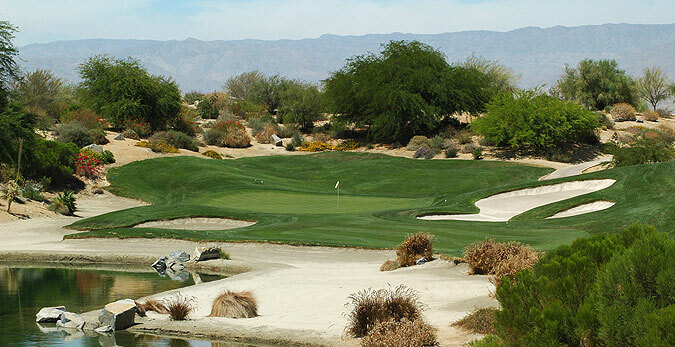 Recognized as the crown jewel of desert golfing, the Desert Willow layouts provide all the excitement and vistas of desert golf, without the long forced carries that are sometimes prevalent on these types of layouts. 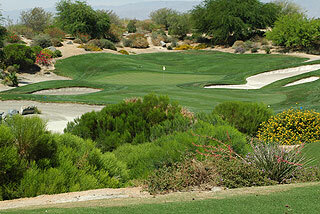 There are some natural desert areas to carry, but the tee shots are reasonable in length. On property is a beautiful clubhouse that features a wonderful pro shop, locker room facilities, restaurant & lounge that provides an extensive lunch menu, and an outdoor patio that affords spectacular golf course views. 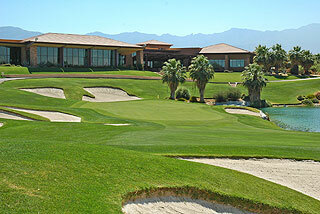 There is a full service practice facility with targeted grass range, putting greens and short game area. Pro Link GPS is standard on all carts, as are ball & club washers and ice chests. Each course also has sprinkler heads that are measured to the center of the green, plus 100, 150 and 200 yard blocks posted on the fairways. Another innovative feature we have not encountered before - pop up rakes near the sand bunkers! They are mounted into the ground near the bunkers...step on a lever and they pop out. No rakes lying around on the course or in the traps here! The 5 sets of tees on the Firecliff course provide yardages and slopes measuring 7056 yards/138 slope, 6676 yards/132 slope, 6173 yards/125 slope, 5642 yards with a 128 slope for women, and 5079 yards with a slope of 120. Golfers will notice immediately the intricately designed sand bunkers that are strategically located along the well manicured fairways, and near the mildly undulating green complexes. 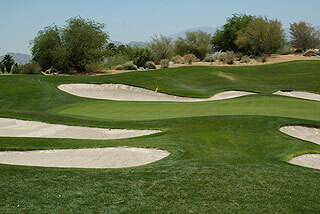 In total there are 100 bunkers - though their intricate designs makes it feel like more. 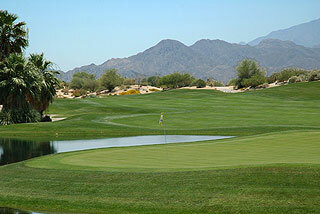 The desert waste areas that help define the fairways are cleaned out so that recoveries are sometimes possible. 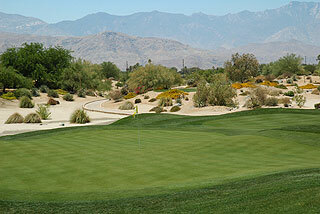 Landing zones are frequently spacious...the trick is to avoid the sand traps! 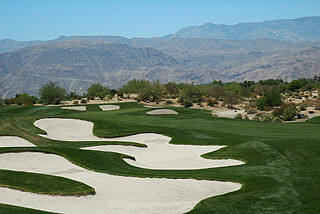 Holes number one and ten give a good indication of what to expect, as the fairways are replete with these sand hazards. The finely sculpted tee boxes are adorned with wildflowers and landscaped shrubbery, and are layered with desert in between - reminding one that this is truly a desert layout. The setting is pristine and spectacular, with mountain views and natural areas highlighting an experience that all levels of players will appreciate. 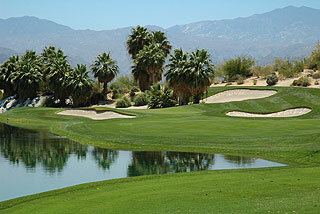 Water hazards on seven of the holes also add to the aesthetic experience and challenge.